British MPs voted against four possible alternative plans for Brexit on Monday after also rejecting the government’s deal with the EU three times. Proposed alternatives for retaining much closer economic ties after leaving the European Union, holding a second referendum or stopping Brexit to prevent a no-deal departure all failed to win a majority of votes in parliament. The second referendum proposal garnered the most votes in favour -- 280 -- but was beaten by 292 votes against. The next most voted option was a plan to stay in a permanent customs union with the EU. It won 273 votes but there were 276 votes against, raising hopes among its supporters that the idea could be revived. Following the vote, the government said the results demonstrated that its plan was the best and hinted that it could be put before parliament once again this week. 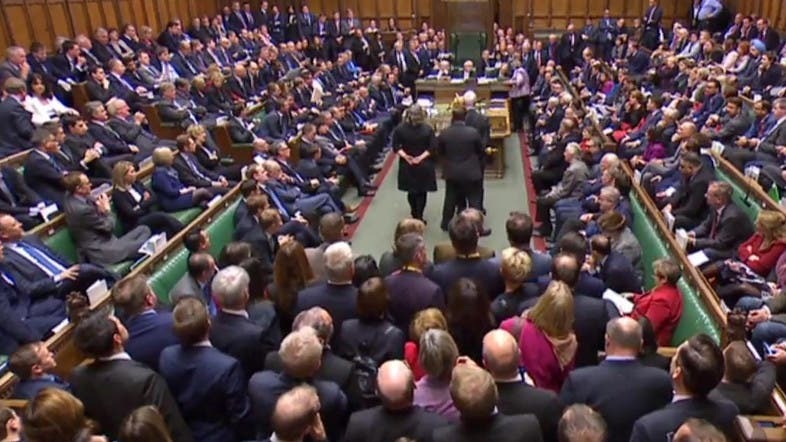 Parliament “has once again failed to find a clear majority for any of the options,” Brexit Secretary Stephen Barclay told MPs after the vote. “The default legal position is that the UK will leave the EU in just 11 days’ time” without a deal, he said. Barclay pointed out that the alternative to a no-deal exit on April 12 would be a long extension that would mean having to hold European Parliament elections. “If the House (of Commons) were to agree a deal this week it may still be possible to avoid European parliamentary elections,” he said. Nick Boles, a Conservative MP who had proposed a plan for close ties with the EU after Brexit, announced he was leaving the party after the vote. “I have given everything to an attempt to find a compromise,” an emotional Boles told parliament. “I accept I have failed. I have failed chiefly because my party refuses to compromise. I regret therefore to announce I can no longer sit for this party,” he said.